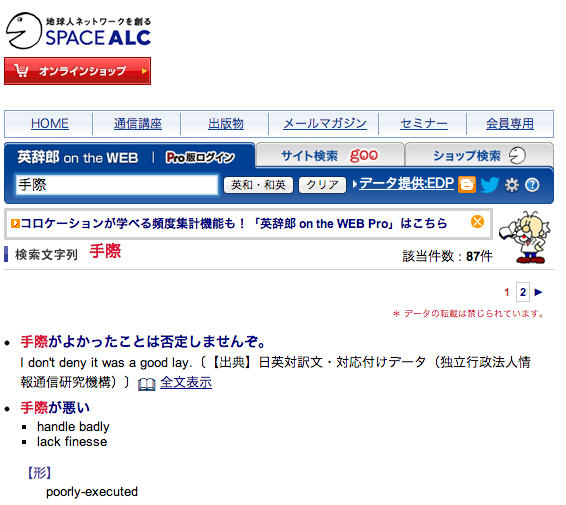 Space ALC is one of my favorite online dictionaries, especially since it uses a lot of example sentences and words in context. 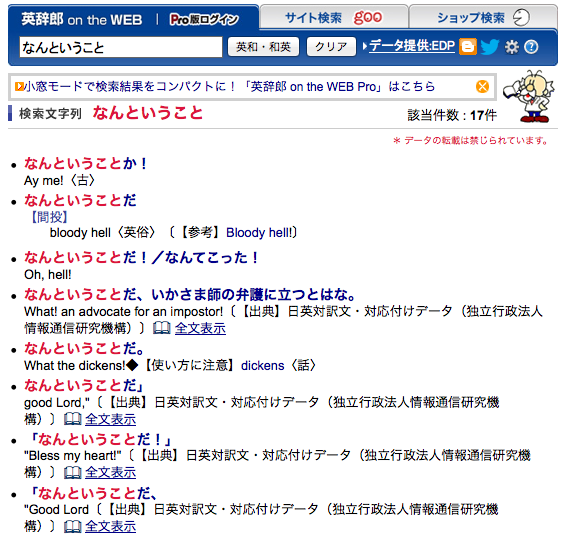 The dictionary also has a huge database of English-language slang terms, both historical and modern, and as the dictionary is more directed at English-to-Japanese translation (read: Japanese speakers inputing English terms, including slang), sometimes the results I get are nothing short of hilarious. My other translator friends and I like to swap screenshots of some of the weirder terms we get, and so I wanted to share some of my favorites with you all. 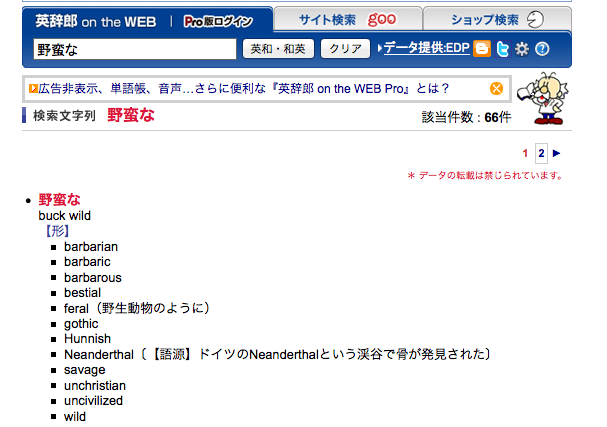 Just a note: none of these entries is wrong; this is not Engrish. If I had to deal with the sheer amount of slang that English has as a non-native speaker, I would be glad to have a place that could explain what buck wild means. 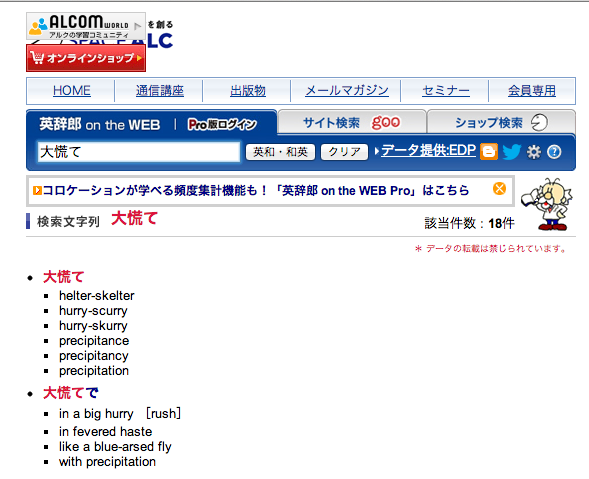 However, going from Japanese to English turns up a lot of results that have odd slang terms listed as the first entries, which is why I find it so funny. Grok. There’s a new one for me. 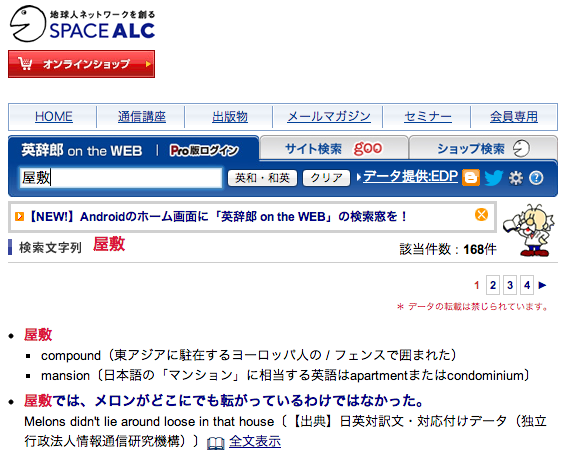 I can’t remember what I was looking up (in Japanese), but I got something about Linux and another computer system being kissing cousins. It wasn’t until after they removed this example that I finally learned what that phrase meant in English, having never heard it except in regard to affectionate relatives. 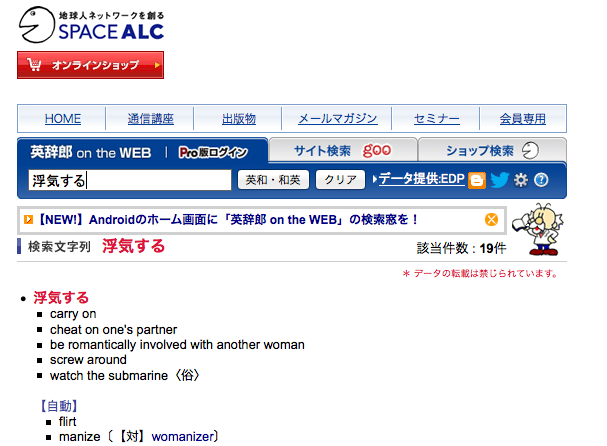 Sometimes ALC makes me think I’m the only native speaker who wouldn’t know what to making of watching submarines. I’m just glad I don’t have to learn it as a foreign language! Oh, I agree! 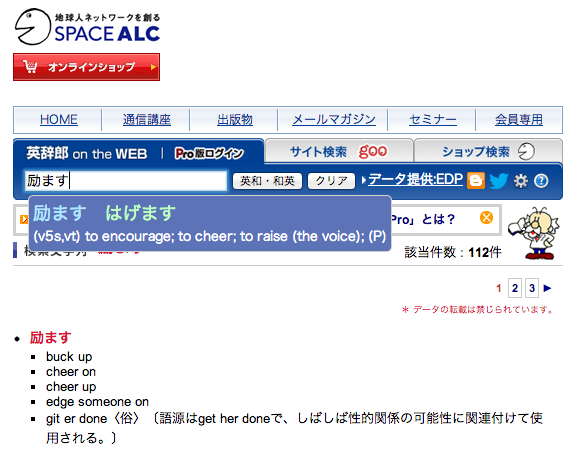 Sometimes ALC marks the terms as “slang – UK” or “slang – US.” I don’t think there’s an “archaic” or just “retro” tag, though. I really sympathize with ESL learners–with all the different countries and regions and their slang, sports metaphors, historical references, and so on, it’s really a challenge. Thanks for reading! This was absolutely hilarious 😀 Thanks for the great post! Today’s FLF is a reblog of a great post on the hilarity of one of our favorite online dictionaries. Have you come up with some really off the wall results searching for something? Let us know in the comments! 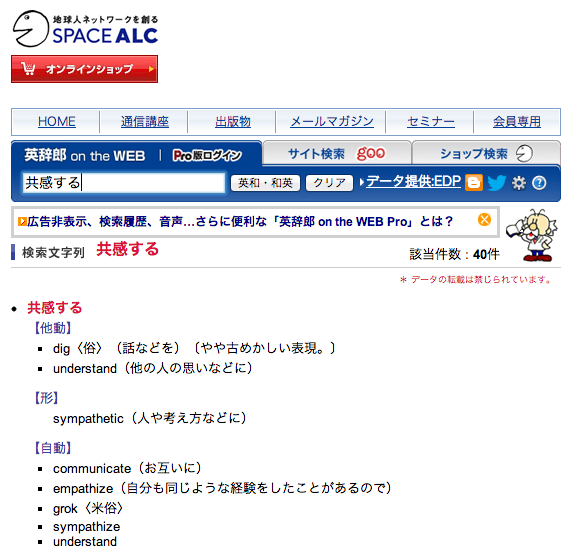 I was curious about the “melons” example, so looked it up on ALC and then clicked the 全文表示 link. Interesting! Thanks for looking into that–makes way more sense in context.